While owning your own business allows you to control your professional life and provides financial independence, dealing with a business in divorce proceedings presents unique challenges. If a person seeking a divorce is an executive who possesses an interest in a corporation or is paid under a deferred compensation plan, determining what constitutes community property may be complicated. If you or your spouse own a business or an interest in a business and anticipate you will get a divorce, it is essential that you seek the assistance of a skilled divorce attorney to aid you in protecting your assets. The Dallas divorce lawyers at the McClure Law Group can thoroughly and meticulously evaluate the facts surrounding a divorce for business owners or executives, allowing you to receive an equitable share of community property and retain ownership of any separate property. Under Texas law, any property obtained during a marriage is considered community property unless a party can prove otherwise. A business is treated like any other property in the context of divorce and will be considered community property unless it is clearly defined as the separate property of one spouse. If a business was created prior to a marriage, it is likely that at least a portion of the business is separate property. Even if a business was originally separate property, however, if the other spouse contributed to the increase in the value of the business during the course of the marriage, the increased value could lead to reimbursement of the community property estate. Furthermore, if community assets were commingled with the assets of a business, it may affect the characterization or reimbursement claims related to the business. Which Assets of a Business can be Divided? If a business is determined to be community property, an accurate assessment of the business’ value is essential during a divorce for business owners or executives. The initial consideration in valuing a business is the form of the business, since each entity must be valued using different methodology. For example, the value of a sole proprietorship will include all assets held by the sole proprietorship. In a partnership, however, only a partner’s interest in the partnership is considered the property of one or both spouses, while the assets of the partnership are owned solely by the partnership and are not divisible in a divorce. Similarly, when the business is a corporation, only an individual’s interest in the corporation can be valued and divided, but not any assets owned by the corporation. Determining what a business is worth takes into consideration several factors, including the business’ assets, any real property owned by the business, and the past and potential future earnings of the business. There are several different methods used to assess the value of a business. The comparable sales method looks at the purported market value of a business by evaluating the sales of comparable businesses. On the other hand, the book value of a business is assessed by subtracting a business’ debts and liabilities from its assets. It is essential to understand the different methods used to determine the value of a business. While the process of valuing a business is complicated and intricate, a skilled divorce attorney can assist you in determining which valuation techniques best determine the value of your business and ensure that its worth is accurately assessed. After the value of a business is properly evaluated, the parties must determine what will happen to the business after the divorce is final. While the spouses may choose to retain joint ownership of a business, this is not an ideal outcome and is generally avoided. Often, one spouse will be awarded the business and will pay the other spouse a percentage of the value of the business. Another method of dividing the value is to sell the business and split the proceeds. Clearly, regardless of which method is used, it is essential that the value of the business be accurately assessed prior to division. While executives often do not actually own the business for which they work, they may possess some interests in the business, such as stock options, or benefit from deferred compensation or profit-sharing plans. First, as with any property, it must be determined whether any stock, deferred compensation, or other earnings are separate or community property. Compensation earned during the marriage is community property, regardless of whether payment of the compensation is delayed until a later date. Once any community property is identified, you may need to engage the services of a forensic accountant to determine the value of all of the compensation earned during the course of the marriage, regardless of the manner in which the compensation was provided. After the distribution of any executive assets is finalized, it is important to draft the divorce decree or settlement agreement to reflect how any stock or deferred compensation will be handled, since their disbursement will likely be delayed. Determining how to divide executive compensation and assets presents its own challenges, and it is in your best interest to hire an experienced attorney to thoroughly assess what you are rightfully owed and assist you in seeking an equitable distribution of the assets. Determining each spouse’s interest in a business and equitably dividing the value or assets of a business is an intricate and complex process, similar to the division of real estate, which benefits from the assistance of a skilled divorce lawyer. The McClure Law Group is experienced in dealing with divorce for business owners or executives, and our attorneys possess the skills and experience to help you receive any property that you are rightfully owed. 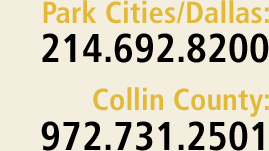 Our Dallas attorneys also have a Collin County office in Plano (by appointment) and represent individuals in Dallas, Fort Worth, Garland, Irving, Richardson, McKinney, Frisco, and Rockwall. We also represent people in other cities in Dallas, Collin, Grayson, Denton, Tarrant, and Rockwall Counties and elsewhere. Contact us at 214.692.8200 or via our online form to set up a consultation.